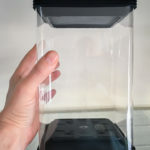 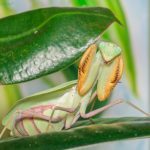 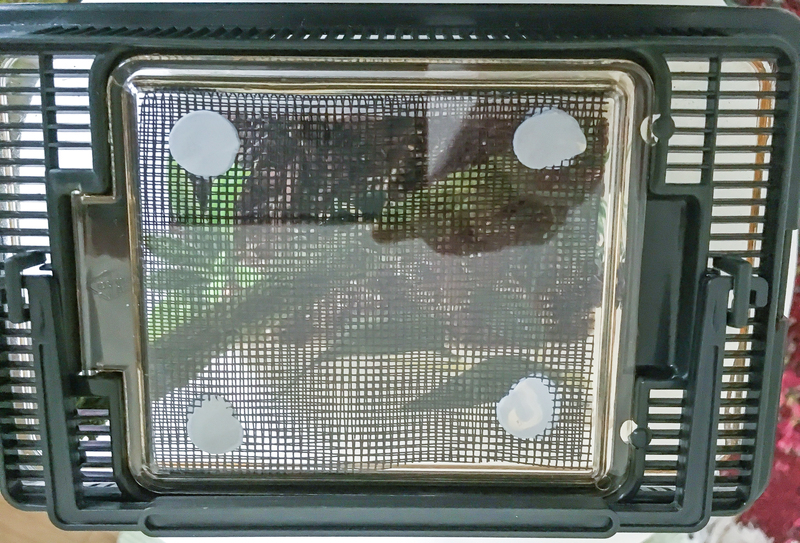 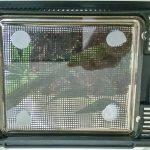 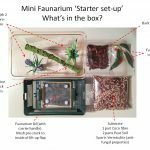 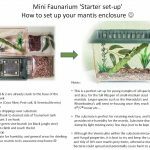 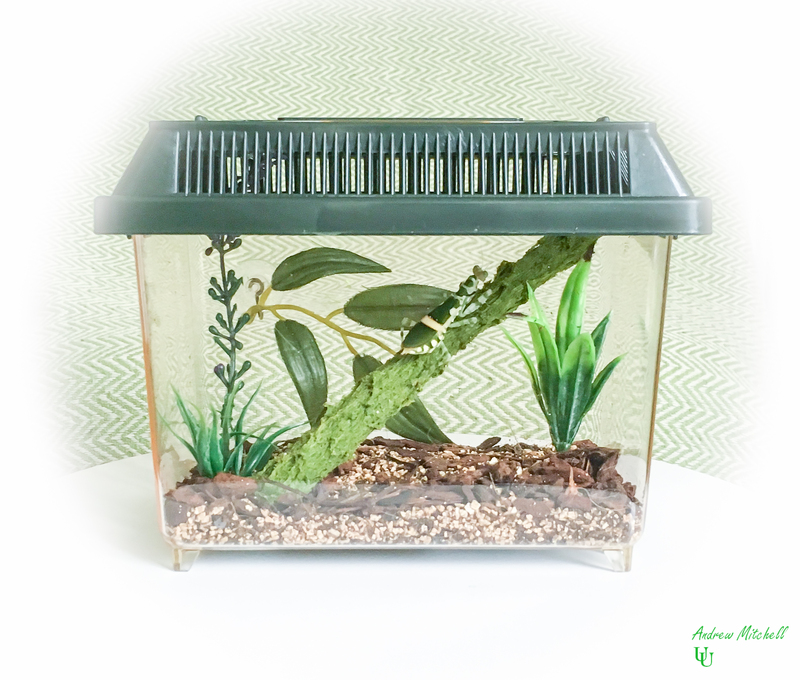 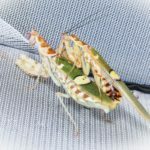 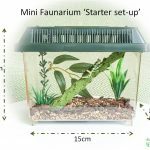 Mini Faunarium ‘Starter kit’ for small/medium-sized insects (mantids, stick insects etc…). 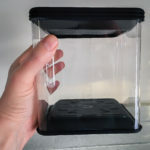 Also suitable for arachnids such as spiders and scorpions. 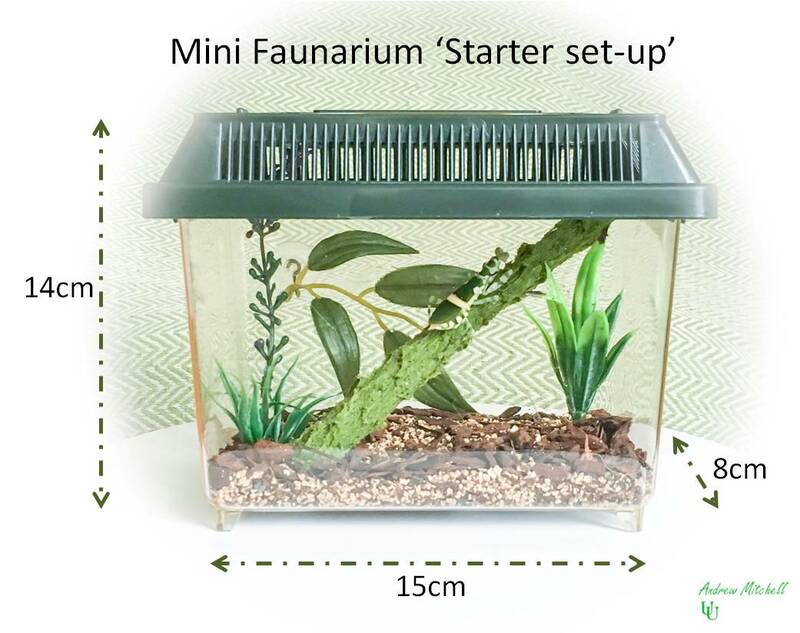 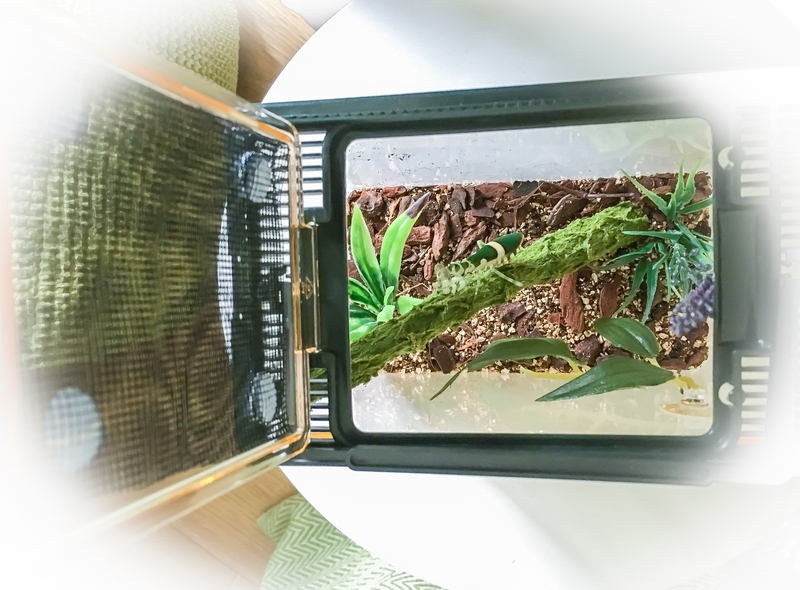 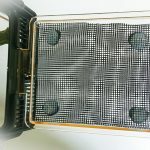 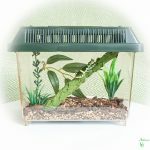 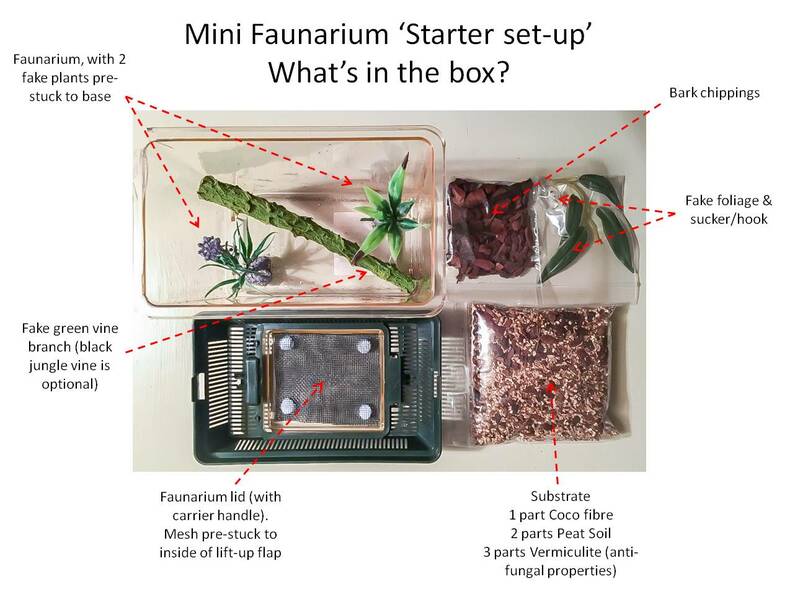 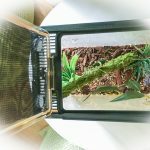 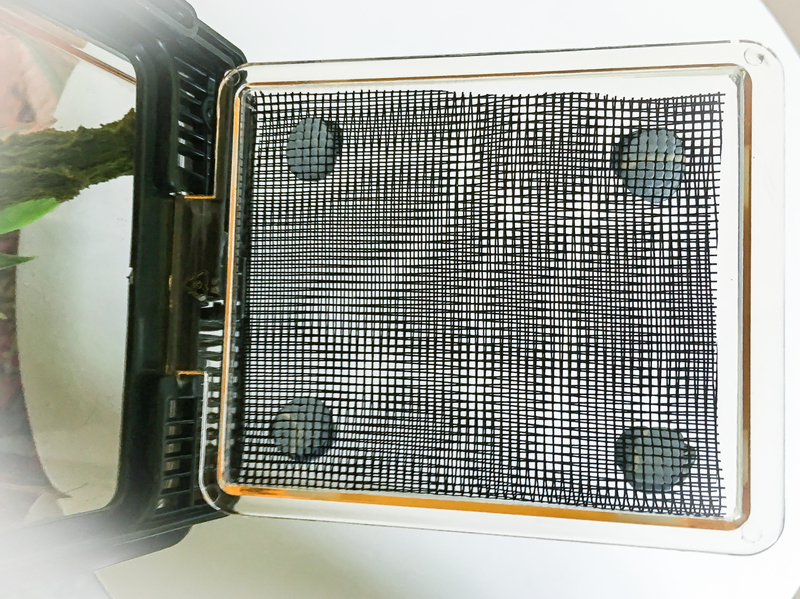 This Mini Faunarium ‘starter kit’ comes with everything you will need to make it a friendly, and functional enclosure for your beloved pets 🙂 Contents include; Substrate (a mixture of peat soil, coco fibre, and vermiculite) to provide good humidity when moist, bark chippings to sprinkle on top of the substrate, green fake vine, 3 different fake plants (2 of which are pre-attached to the base of the faunarium tank), mesh pre-attached to the lid, and a sucker hook to hang one of the fake plants. 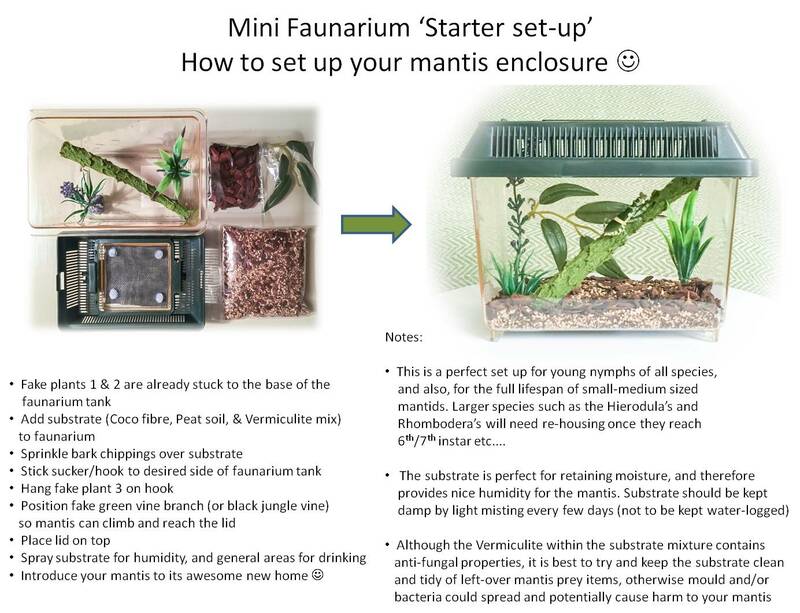 All you need to do is add the substrate, and arrange the rest of the items as you prefer 🙂 The gallery of images show all the aspects of the starter kit, including a list of contents and also, a guide to setting up the faunarium (as seen in the product image photo)….And don’t forget to get yourself a cool mantis to put inside 🙂 Oh, and have fun!